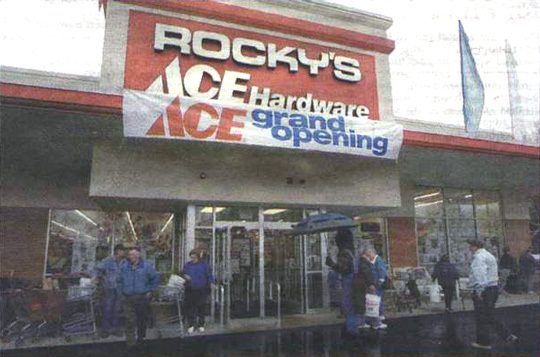 Rocky's Ace Hardware is finishing up its first full week in business on Route 83 in Vernon this week. 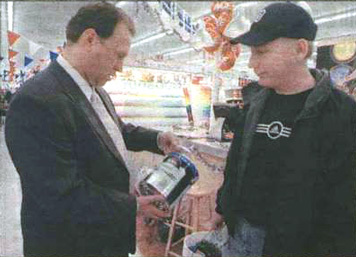 Above, customers flocked to the grand opening sales, and below, Rocco Falcone, the president and chief executive officer of the chain, helps Dan Randell of Ellington with a paint selection. Falcone is following in the footsteps of his father, James, and grandfather, Rocco.